Gut disorders affect millions of people every year. 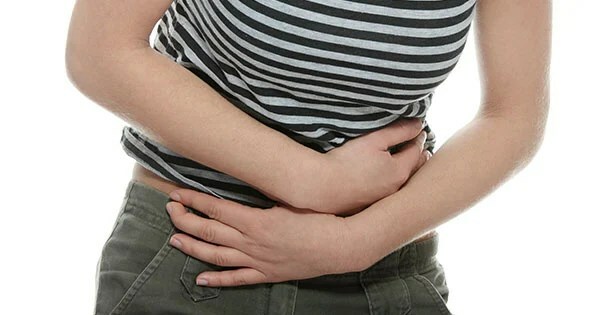 Two of the more common gut problems, small intestinal bacterial overgrowth(SIBO) and irritable bowel syndrome(IBS), often present with gas and bloating that most sufferers have a difficult time identifying the cause of. There are a couple of reasons why this is so. First, there are so many different food components that can be a cause of gas and bloating and only some people are sensitive to them. Second, the gas and bloating can come immediately following a meal, many hours after a meal, or at a time completely removed from food consumption. Often, people may attribute the gas and bloating they are currently experiencing with a meal they just recently ate. The problem with this is, depending on where the bloating is happening, it may be impossible for the meal you just ate to be the cause of gas or bloating. For example, If you eat a meal and an hour later you experience gas that results in a fart, there’s no way that meal was the cause of the bloating unless you were bloating the entire time. Even then, if it doesn’t result in substantial burping it’s unlikely that this meal caused your bloat. Gas that escapes out the back door typically comes from the colon, and a meal you just ate has no chance of getting to the colon in an hour. In most people, it would take 6+ hours. And this is dependent on the food immediately interacting with bacteria in the colon, something that’s unlikely to happen. But why is the cause of gas so far removed from the consumption of food? The answer lies in how bacteria get access to your food and the time course of gas generation by these bacteria that comes as a consequence of their metabolism. In the colon, bacteria have access to indigestible food components such as fiber. These bacteria reside in a loosely adherent mucus layer that is separated from the intestinal wall by an almost impenetrable mucus layer that is firmly attached. In order for bacteria that are floating around in this loosely adherent mucus layer to access food, the food needs to penetrate this mucus layer. This doesn’t happen the instant food makes it to the colon, which takes approximately 6 hours to happen. Another important factor for the timing of gas and bloating is which form the bacteria is in. The bacteria in the outer mucus layer above are in a planktonic form, meaning they are essentially out on their own. In many cases, bacteria can form biofilims together or with other bacteria, and this can change the time course of gas and bloating. The generation of gas by bacteria in a biofilm isn’t instantaneous. It takes time for the food to penetrate the biofilm. It also takes time for bacteria in a biofilm to generate enough gas bubbles and for these bubbles to conglomerate in a way that will create a gas bubble big enough to penetrate the biofilm and escape as gas. You can see this process in the biofilm below. Just a note, the biofilms in this picture and the next 2 escaped from me a few years ago while I was experiencing major gas, bloating, and diarrhea. I believe it to be candida based on the symptomology and my history of thrush. As you can see in this photo, there are a ton of different sized gas bubbles in this biofilm. If dropping in to a toilet didn’t cause them to escape post-haste, the presence of fiber isn’t going to either. This underscores the timetable it takes for a meal to cause gas, particularly if it’s happening in the colon. It could take more than a day for what was eaten to ultimately cause the gas that you experience. Of course, it it’s in the small intestine it would be quicker, but still time-intensive. In this pic you can see the formation of a large bubble, likely the product of many bubbles, including the ones surrounding it. The shape of this one and the longitudinal formation of bubbles on the middle right side of the picture indicates that this may have protruded through the mucus layer and in to the lumen. This biofilm, like the other one, probably penetrated through the outer mucus layer and in to the lumen. The interesting thing in this one is that the slight red tinge of the glob in the middle of the picture is blood, indicating that it was either interacting with the intestinal wall or accessing the bloodstream with hyphae. One thing you can’t see from these pictures is that these biofilms are pretty tough. If you stir the pot, so to speak, the whole thing moves together and isn’t easily separated. It would take time for gas to escape this biofilm even if you provided it with food directly in a petri dish. The only way to get a handle on the complexity of this variability in gas and bloating is a food journal. A proper food journal records not only what you eat, but when you eat it, when you experience symptoms, and what those symptoms are. Even then, it’s pretty difficult to identify the cause of your gas and bloating until you have a big enough body of data to analyze. Once you’ve recorded enough data, it’s important that you don’t focus on meals that are directly adjacent to your symptoms, you want to look at it all. It would be great for someone to come up with a good food/symptom journal that allows for proper analysis and the identification of trends. Unfortunately that journal doesn’t exist today. Another major confounder is that variability in your lifestyle can cause greater variability in the cause of your symptoms. Stress is a driver in symptom variability and there’s a strong circadian influence on gut problems. Circadian rhythms help drive much of the digestive process and the interaction of the microbiome with the gut and immune system. This is something I plan on covering in my next blog. It’s often difficult to nail down the specific cause of gas and bloating in people with IBS or SIBO. Many people focus on meals and activities that immediately surround a case of gas and bloating. This makes sense if the gas leads to burping, GERD, or indigestion in the upper digestive tract but can be problematic if the problem is in the colon or leads to farting. A food/symptom journal can provide substantial information to the cause of your gas and bloating provided you don’t focus on the short-term. It’s important to realize that what created the gas in the first place may not be what causes you to pass it later on. Anything that causes colonic motility or pressure can disturb a biofilm enough to cause gas to conglomerate in to a big enough bubble to make you pass gas. This includes rapid movement, a recent meal, or the migrating motor complex pushing food in to the colon. A key aspect in pinpointing the cause of gas and bloating is reducing the amount of variability in your day. This includes managing things like stress and disturbances in circadian rhythms that drive gut function. This, coupled with a food journal, is the best way to identify the cause of your gas and bloating and will improve symptom management. In some cases, it may solve the problem altogether.